Looking to further your career in veterinary medicine? Consider joining our collaborative team. • Practice collaborative medicine and provide clients and patients with continuity of care between medical specialties. • Benefit from on-site MRI, CT, X-ray, endoscopy, & ultrasound. • Pursue innovation and advancement with additional support from a nationwide network of resources. 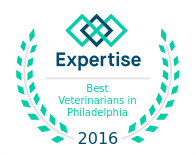 VRC is an AAHA-accredited specialty and 24-hour emergency veterinary hospital on the Philadelphia Main Line in Malvern, PA. We are seeking a full time, board-certified or residency trained neurologist to join our existing neurology department. We utilize a collaborative team approach to medicine and offer a family-style work culture with many personal and professional opportunities as well as competitive benefits and compensation. We have a growing team of specialists in the following departments for support and seamless transition of care: 24/7 Emergency & Critical Care, Cardiology, Dentistry, Diagnostic Imaging & Radiology, Internal Medicine, Neurology, Oncology, Physical Rehabilitation, Soft Tissue & Orthopedic Surgery.